With statistics like that, the numbers pile up so high it’s easy to get lost on top of the heap and forget why you wanted to be there in the first place. But not Rascal Flatts. Time and success have only put them closer to their core on Back to Us, their tenth LP that’s both a return to form and a proclamation of everything that this trio has come to represent over nearly two decades. And that’s expert musicianship, razor-sharp vocals and songs that have shaped lives, loves and the genre of country music itself. With more than 40 awards garnered, including Academy of Country Music Awards, American Music Awards, Country Music Association Awards, and People’s Choice Awards, Rascal Flatts have become the most awarded country group of the past decade. 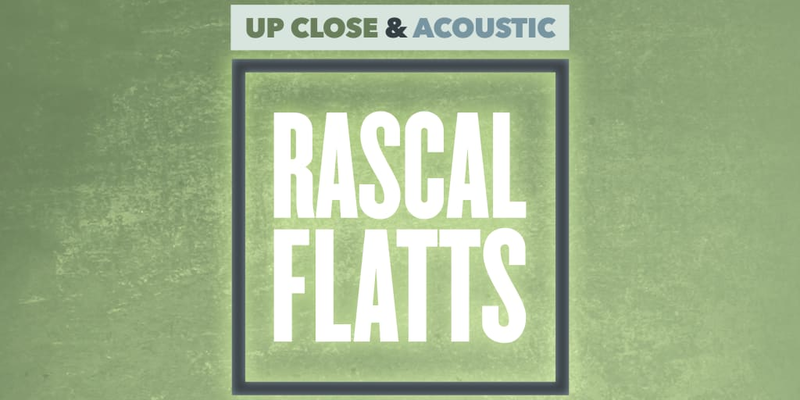 Join us as we welcome Rascal Flatts to Reno’s Grand Theatre as the band showcase their latest album for their fans in this heartwarming acoustic show.